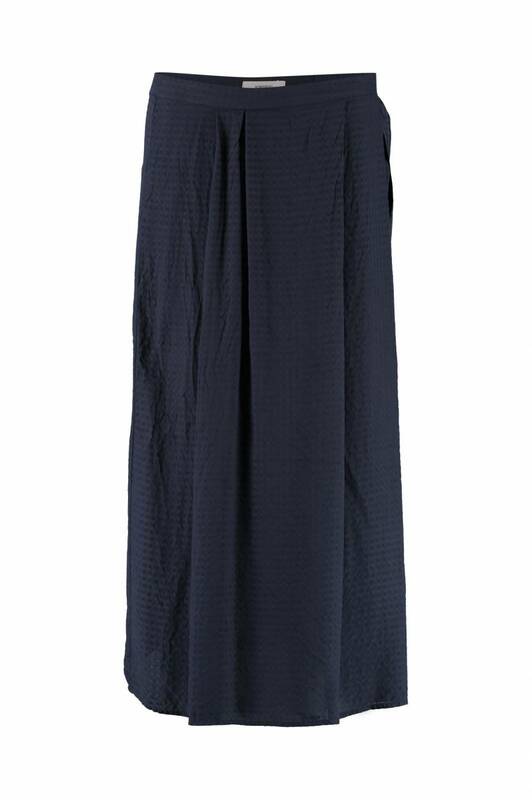 This soft skirt has a subtle checked patter and a button closure at the hip. Tie the belt on the side to create a playful effect. The PRINA has subtle pleats and is made from fabric with a slight shimmer. Model wears size S. Model's height is 1.79 m. The skirt is 80.5 cm long.